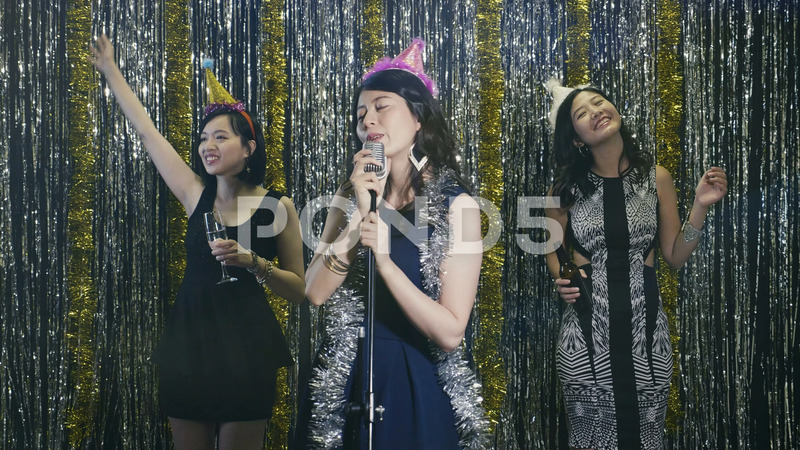 Description: group of asian ladies having fun at karaoke party at nightclub. siger singing with pink hat and silver metallic on shouder. dancers in the background enjoy music dancing joyfully with drinks.